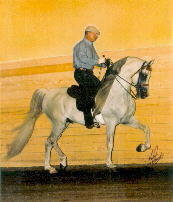 *Delerio (Bambu x Lira) is a pure Spanish Stallion siring American Champions! 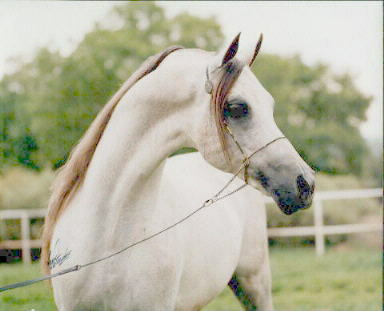 *Delerio is the only pure-bred Arabian Spanish Stallion in the United States sired by the great Spanish military stallion Bambu, who was the sire of Scottsdale Champion, Spanish, Canadian and United States National Champion Mare *Abha Hamir. 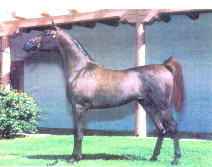 "Delerio's disposition and trainability showcase the best of Spanish breeding", says owner Susan Seligman. 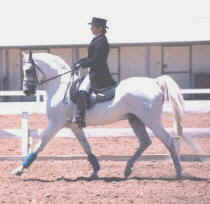 "I learned to ride on *Delerio and that says a lot for a stallion. 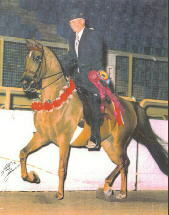 He loves the show ring, but also enjoys a good trail ride." 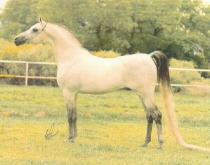 Delerio's foals are also winning in the show ring. 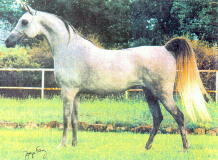 "Beylaria" (*Delerio x Offira Bey by Bey Shah) was the 1997 IAHA Futurity National Champion English Pleasure Junior Horse. 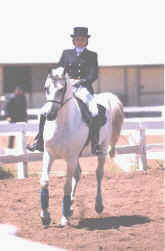 *Delerio is an International Champion! 574 Black Bear Road N.E.